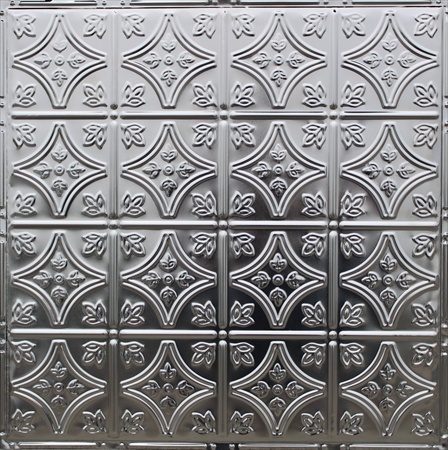 Unfinished tin ceiling tiles and panels are simply steel tiles that are plated with tin to create a long lasting and durable product. At Metal Ceiling Express, we manufacture these tiles in-house using high-quality materials. 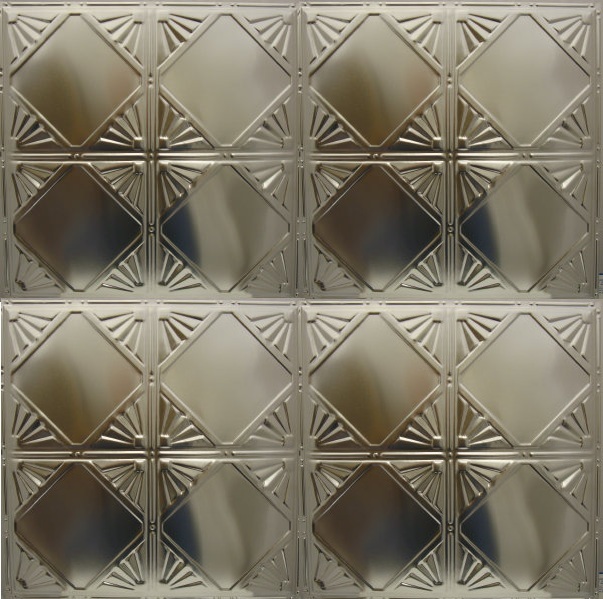 Our unfinished tin ceiling tiles and panels are available in more than 35 different designs & patterns. 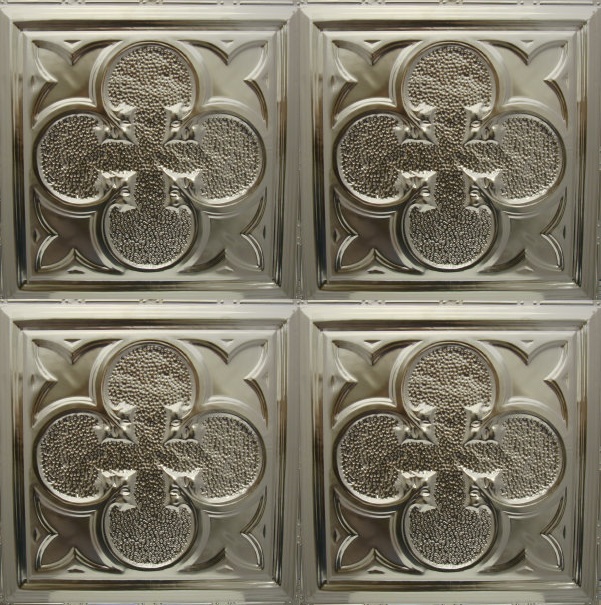 These designs are pressed onto the blank steel ceiling tiles using our high tonnage stamping press and to make sure that all designs are consistent and identical. Unfinished tiles are given antique and vintage looks by using different hand painting techniques. From reds to greens to coppers and from antique to modern, we offer over 60 different finish options! Check out our unfinished ceiling tiles and panels that mimic an authentic vintage look and feel. 24in by 24in tiles that are suitable for ceiling installations and are available for nail-up installation, or can be used for drop-in or deep drop-in for suspended ceilings. A limited number of tiles can be used with our snap-grid installation system. 12in by 12in tiles that are suitable for smaller projects as well as backsplash & wainscoting applications and are available for nail-up installation only. We also make unfinished accessories that include molding, edging, switch plate covers and nails for consistency across our entire product range. Call us on 1-941-723-2288 if you have any questions or if you wish to order a sample pack. You can order directly on our website when you are ready to get started. Take a few minutes and head to our blog where you will find a whole bunch of ideas, tips, tricks and other resources. Visit the Metal Ceiling Express Facebook page to remain updated about our products and exciting offers.